The exterior of Chick-Fil-A, a day before its opening, on 37th Street and Sixth Avenue, on Oct. 2, 2015, in New York City. As the competition among meal kit companies such as Blue Apron and Hello Fresh heats up online and expands sales into supermarkets, Chick-fil-A is offering customers yet another alternative. Known for its antibiotic-free chicken, the company is the first major U.S. fast food chain to launch its own line of fresh prepared meals for diners on the go who want more than just its signature chicken nuggets. Chick-fil-A will sell its "Mealtime Kits" at 150 restaurants in and around its headquarters in Atlanta starting Aug. 27. These kits contain pre-measured ingredients and can be picked up from the drive-thru, front counter or ordered through the Chick-fil-A One app. 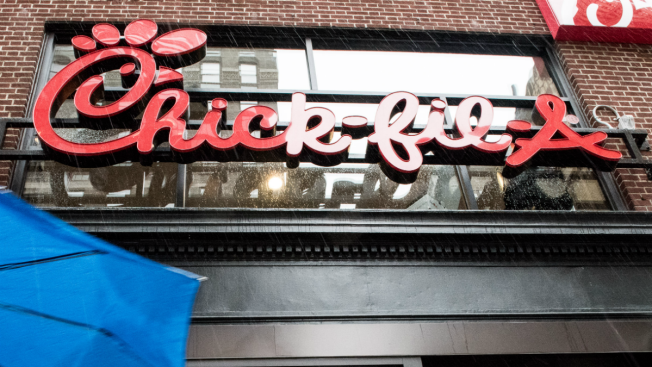 Chick-fil-A is offering five different recipes that aren't sold in its restaurants, chicken parmesan, chicken enchiladas, dijon chicken, pan roasted chicken and chicken flatbread, all featuring the company's antibiotic-free chicken. Each kit serves two people and costs $15.89. Patrick said that the meal kits were designed so that customers do not have to subscribe to get their meals or order ahead. Chick-fil-A enters that space at a tumultuous time. The meal kit sector is rapidly changing, with many competitors selling their meals online and partnering with grocery and drug store chains to sell to customers who don't want weekly subscriptions. Blue Apron partnered with Costco to test its kits at 15 locations, while Walmart has developed its own pre-portioned kits in-house. Even Weight Watchers announced plans in March to sell kits in stores later this year. And then there are the grocery chains that have been scooping up meal kit companies. Kroger bought Home Chef in a deal worth $200 million. In June, HelloFresh said it would sell kits at Stop & Shop and Ahold Delhaize's Giant Food. However, the industry is also shrinking. Between acquisitions and financial difficulties causing brands to shutter, the space has dwindled to around a dozen major national companies and a smattering of regional players. Most recently, Chef’d, a national meal-kit company, suspended its operations after burning through investments and failing to secure more cash. Chick-fil-A will just be testing its kits until November while it gauges consumer interest before rolling it out to other locations.